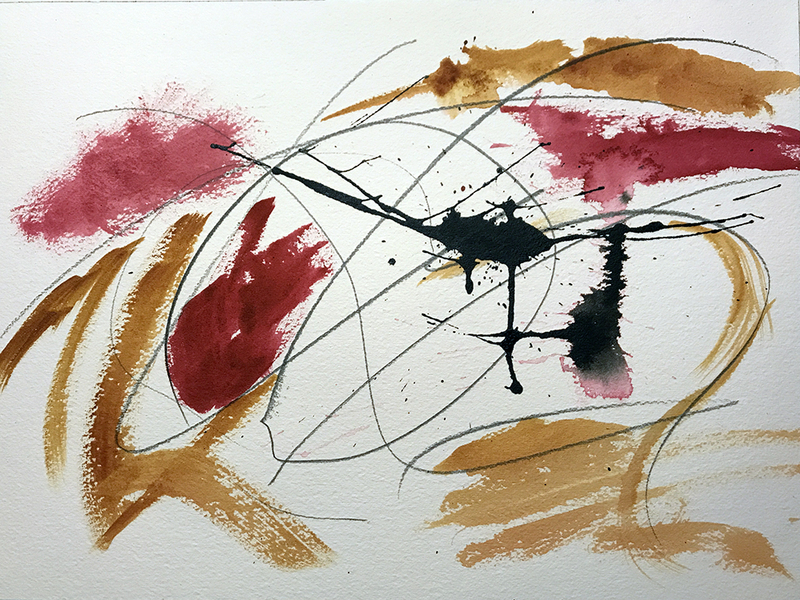 This entry was posted in Personal Stories and tagged abstract art, art, emotion, feeling crappy, feelings, painting an emotion, painting while emotional, visual arts, watercolor. Bookmark the permalink. Thanks, Dr. V! I wish I had a bigger workspace than 9×12; its like having a mini-anger episode. Oh, what I could do with a 6 foot canvas! Thank you for your comment, Carol! I guess I was holding back a bit (I didn’t make any holes in the paper, at least). I work in 9×12 as you do, so the abstract expressionistic, schtick is a bit tough to pull off. I thank you once again for your compliment!